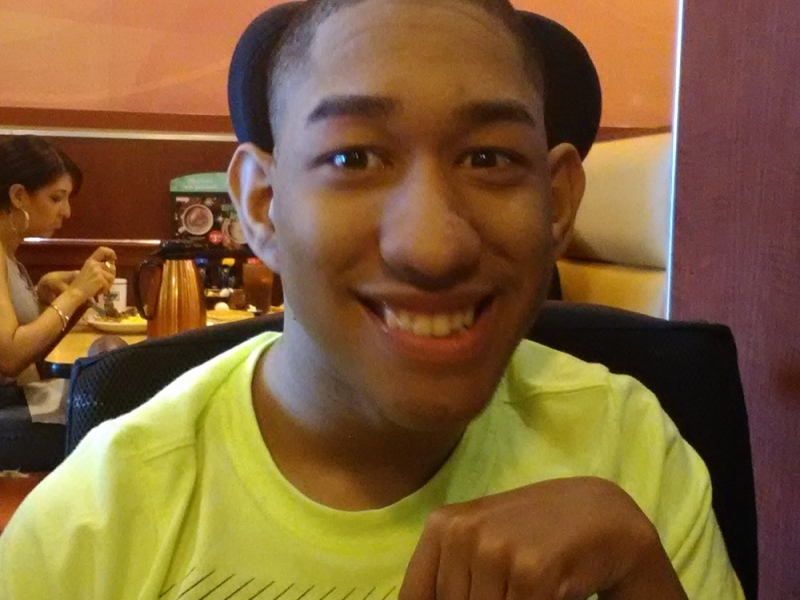 Over the next few years, Jonathan began having seizures and was diagnosed with epilepsy. Because of his mounting medical needs, Brenda made a hard decision. 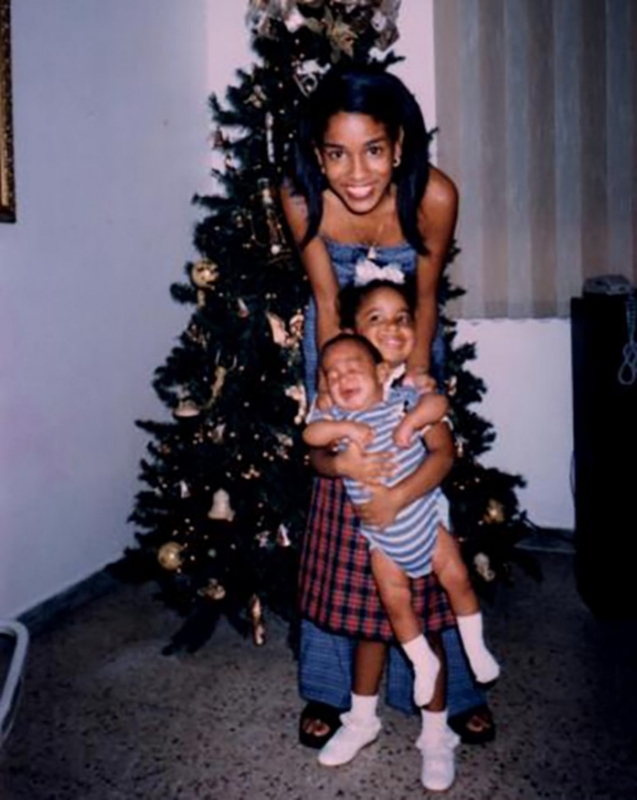 She moved from Puerto Rico to the U.S. for the best possible care for her son. Leaving her home was incredibly difficult but she focused on the medical attention Jonathan would receive in Chicago. She studied English so she could communicate with her son’s doctors. She went back to school. Jonathan was receiving physical therapy and the care that he needed to flourish. It seemed as if the tide had changed for the Velazquez family. Although it was the best thing for Jonathan, moving to Chicago was not without its challenges. The winters were bitter and Brenda and Jonathan had no mode of transportation. For each of Jonathan’s appointments, they had to rely on buses and trains. This meant Brenda had to pick up her son, comfortably and safely secure him in a seat, then go back into the freezing temperatures to collapse his wheelchair and lug it next to them. Needless to say, it wasn’t a streamlined process. Not to mention, Jonathan had done what most 16-year-old boys do: he had grown like a weed. Now that he was over a foot taller than his mother, her daily routine became almost impossible. Still, she refused to miss one appointment. Jonathan’s growing size and Brenda’s resolution to do what’s best for her son left them with an unsolvable problem. After being Jonathan’s sole provider and caretaker for 16 years, after using vacation time and holidays to schedule Jonathan’s doctors appointments, after never asking for help from anyone: she decided to reach out. Her son needed a van that he could fit in without craning his neck, one that could support his growing size and keep him safe. She applied for a grant from Chive Charities. And happily, we responded with a $44,000 grant that purchased both a new ADA vehicle as well as a mobility lift system that will help his mother get him in and out of bed, as well as to other areas of the house. For once, they deserved a little help. And we’re in the business of making people’s lives a little easier, and 10% happier. Here’s Brenda and her beautiful baby boy (being held up with some help from a relative.) Jonathan’s first Christmas! This smile is somewhat of a staple on this guy’s face. His positivity and joy for life is infectious, and constantly inspires those around him. 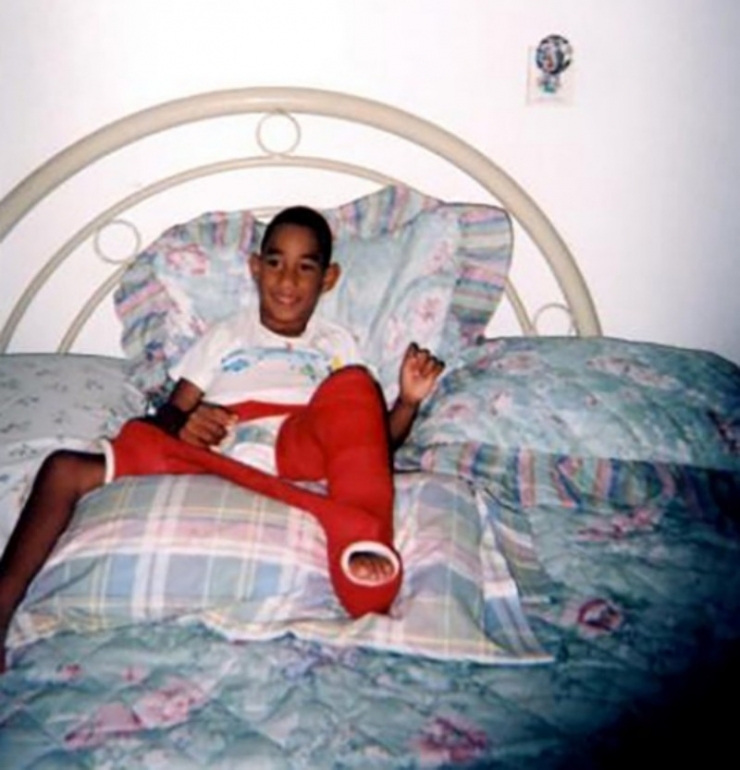 To date, Jonathan has had 3 surgeries on his legs. Doctors try and reset his hip (again), stretch his tendons in both legs, and fix his toes so they don’t overlap. Through the surgery and the recovery… the smile doesn’t leave his face. 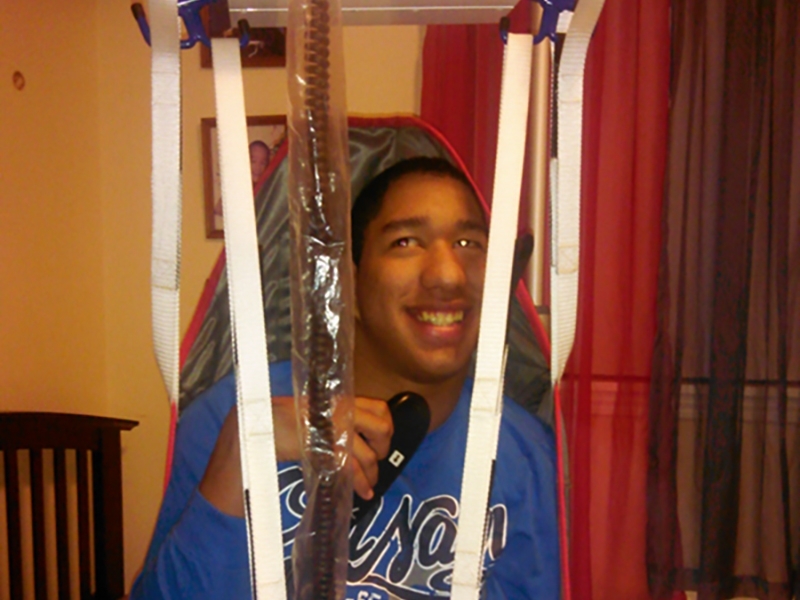 Before Jonathan’s regular Physical Therapy, Brenda would help him stretch, exercise, and move. 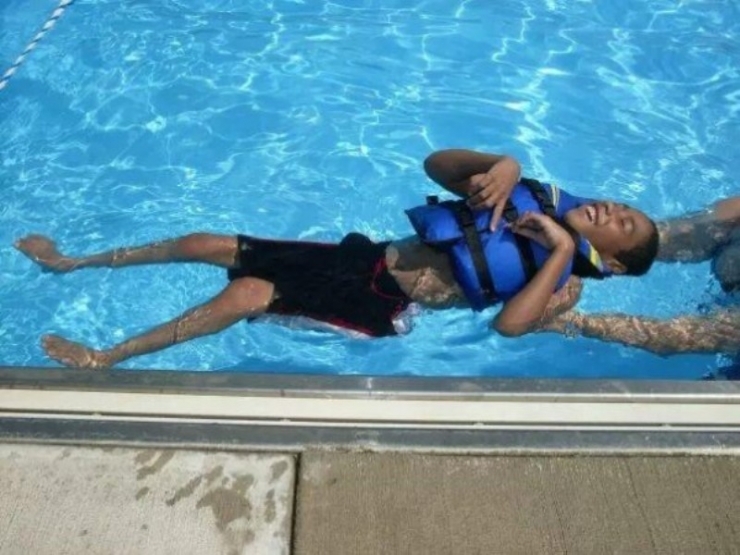 Swimming is one of Jonathan’s favorite pastimes. In the pool, where the water suspends his body and gravity doesn’t control him, he is completely free. 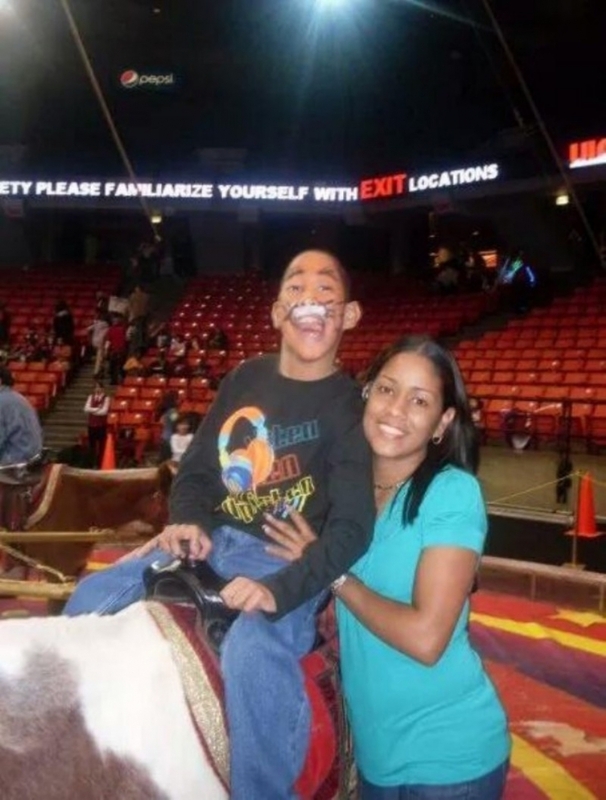 Brenda didn’t allow her son to miss out on experiences just because transportation was difficult. But now, with the ADA van and lift purchased with a grant from the Chive Fund, these two will have many more adventures in their future. As previously stated, Jonathan has grown like most 16 boys do: quickly. 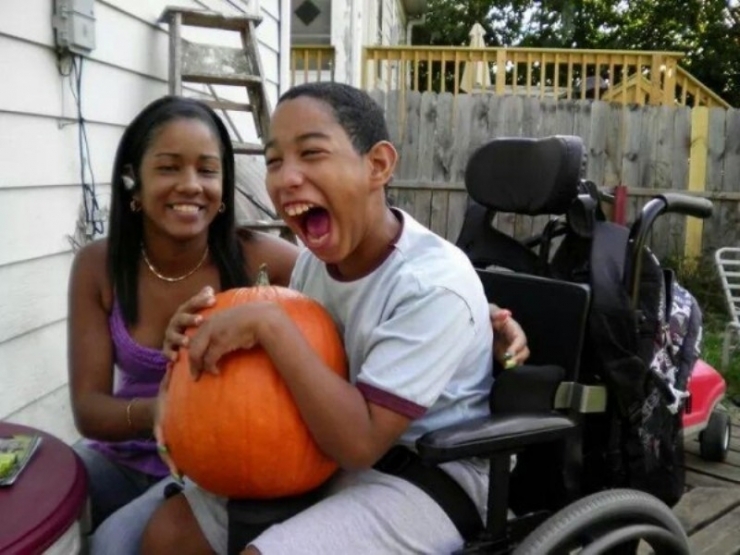 One minute it was manageable for Brenda to pick him up, carry him up the bus steps, and then fold up his wheelchair, but those days are long gone. 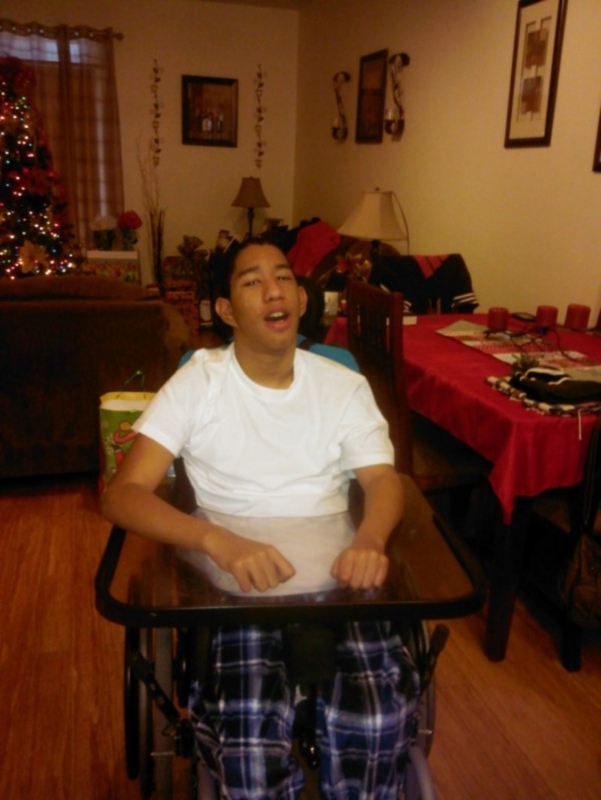 What Jonathan needed was simple: a mode of transportation that kept him comfortable and more importantly, safe. 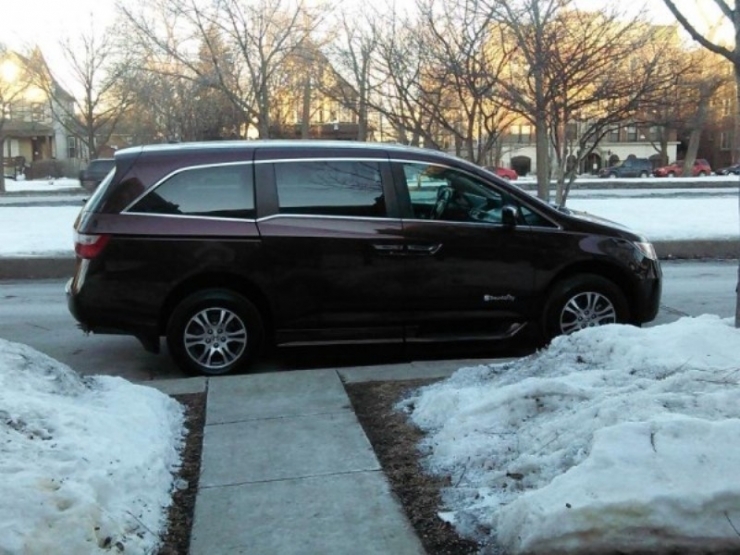 Here’s the beautiful new ADA van that will serve this hard-working mother and son to live the kind of life they’ve always deserved, but never thought to ask for. It includes a ramp so Jonathan can get in and out without Brenda having to physically lift her son. 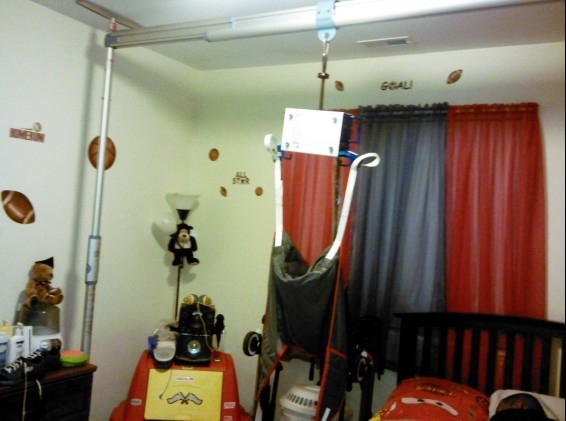 Here is the awesome mobility lift system purchased from the grant by Chive Charities! You can see Jonathan sleeping away in the lower right corner of the picture, but when he wakes up, the lift makes it easy for him to put his weight in the seat and be transported into his chair right beside his bed. Mornings in the Velazquez household just got a lot smoother. 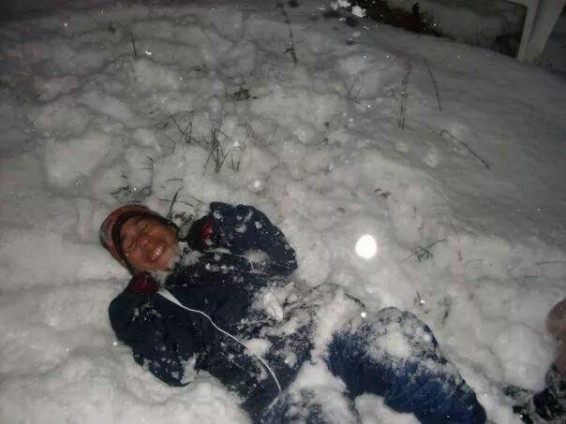 Jonathan wasn’t supposed to make it. Doctors, nurses, and medical professionals cautioned Brenda that he probably would never leave NICU. 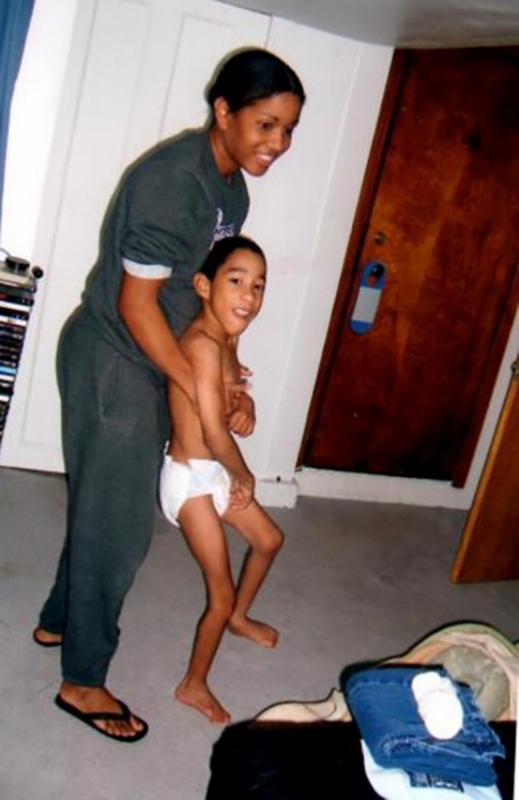 Now at 16, Jonathan is not aiming to just survive. He is trying to live his life to the fullest. With the $44,000 grant from Chive Fund, Chive Charities was able to gift the Velazquez family with something that would finally ease their burden. After years of doing it on their own and never giving up, they got the break they deserved. 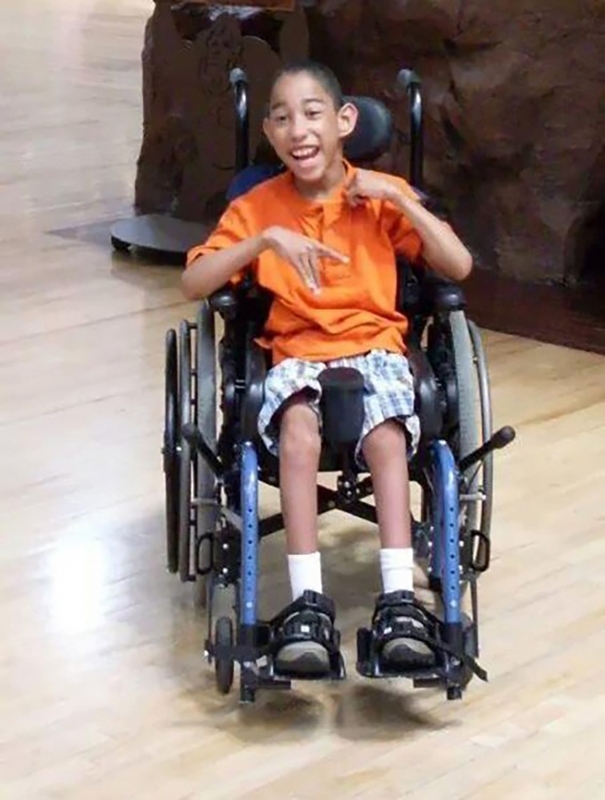 Now, with safe and reliable transportation, Jonathan can go on to take in experiences, have new adventures, and inspire those around him with his positive energy and palpable joy. Every week, we are inspired by our recipients who are the reason we are so passionate about what we do. #ChiveCharitiesMembers are the heroes behind every story. If you want to find out how to join our movement of making the world 10% happier, you can do so HERE.